The pros here at your mens’ consignment store San Diego know that all eyes will be on you during the Holidays. All of your family and friends will be gathering round, so you need to dress to impress. 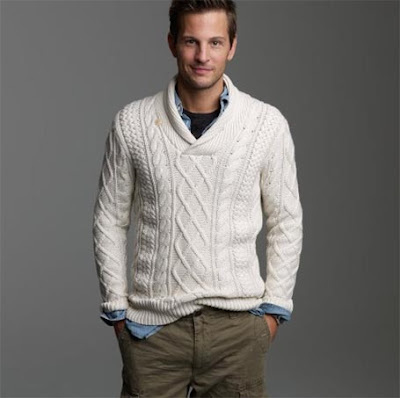 Look like the man of the house this holiday season by following these guidelines. We’re sure you’ve heard the women in your lives getting all excited about ‘sweater weather’ lately, and while you may not share their enthusiasm for bulky clothes and Pumpkin Spice Lattes, layers are an inevitable part of your winter wardrobe. However, there are many options that allow the modern man to stay warm and masculine. A rugged sweater says “I drink expensive whiskey but I also like to cuddle” while a blazer says “I have my life together”. Layers can be your friend if you wear them well, so stick to solid colors or simple patterns, nothing too big or bulky, and of course the cardinal rule: no deep v’s. For some reason men have to be told this over and over again. No, we’re not suggesting you wear pants so tight that you begin to lose circulation, but saggy jeans and baggy sweatshirts don’t look good on anyone. Buy a pair of designer jeans that aren’t too loose or too tight, and invest in some-button downs and tailored tees and sweaters. You’ll look put together without actually having to put much effort into your style, giving you more time for your hobbies like blacksmithing or beer brewing or whatever else you do for fun. While carving your delicious turkey this holiday season, your hands will be on full display. In order to distract from all the callouses you’ve gotten chopping wood this winter, you need a designer watch. The watch is the ultimate male status symbol, and you can get one at ridiculously low prices from our mens’ consignment store San Diego. You’re a man now, so it’s time to get a real haircut. If you’re not sure what style to get, just turn on the TV and watch an episode of Mad Men and you’ll get the picture. And if you haven’t already, it’s definitely time to say goodbye to the bangs and head to your local barber for a professional cut. You should also grow a beard for the ultimate manly look, just make sure you are keeping your facial hair well groomed and trimmed often. Many an outfit has been ruined by a pair of sneakers. Jogging shoes are not appropriate unless you are actually jogging, so put the Nikes down and find a pair of shoes that a gentleman would wear. If your holiday festivities are more casual, go with a rugged pair of boots. For a more formal occasion, every man needs a pair of shiny black leather dress shoes for work, special events, and just looking classy in general. Luckily, there are a lot of things that will never go out of style when it comes to manly fashion. Don’t be boring this holiday season and stick to your same old solid colored shirts. Tweed is making a huge comeback, and plaid, checkered, and striped are always great choices as well. So be bold this holiday season with a patterned shirt or textured blazer. Carve the turkey this Holiday season with confidence, and impress all your friends and family thanks to mens consignment store San Diego. We have a huge selection of manly looks for you to look awesome this winter, so visit our store and follow our blog for more fashion tips and news.